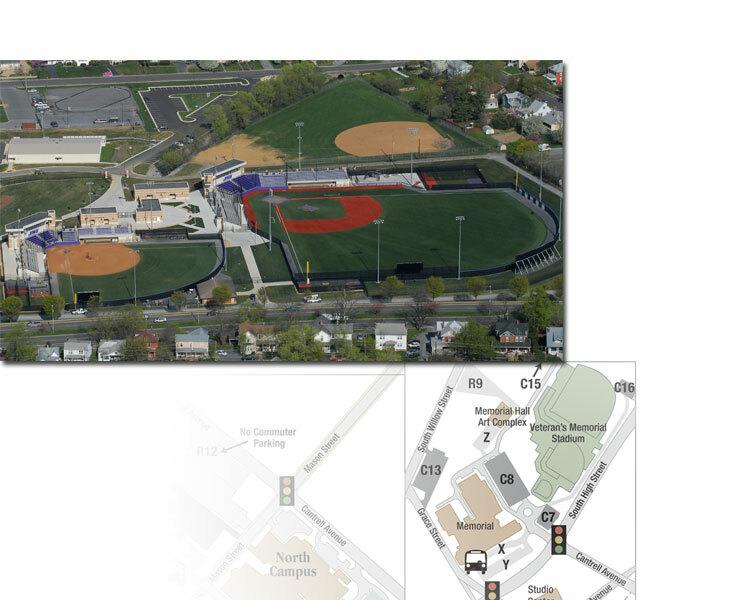 James Madison University Veterans Memorial Park is the home of the JMU baseball and softball programs. The facility is adjacent to Memorial Hall, which houses the offices for both programs as well as locker rooms, team rooms, weight rooms, an athletic training area and indoor practice space. Motor Pool Alternative Fuel Bldg.